After a brief hiatus, we are back. In part 14 of our Meet our Vendors series, we celebrate this Memorial Day weekend by featuring a vendor to whom Memorial Day is particularly meaningful, Jar Head Salsa. Created by a veteran, a portion of all Jar Head Salsa’s chips and salsa goes to support Veterans of Foreign Wars VFW. Located in Flint Michigan, Jar Head Salsa is devoted not only to making amazing Salsa but to supporting our veterans. Jar Head Salsa was created by Gunnery Sergeant Dave Smith USMC, Retired. Top Secret Recipe includes eight different vegetables, citrus juices, and spices. Each serving has 15% of your daily Vitamin C (over 3 times the average salsa). 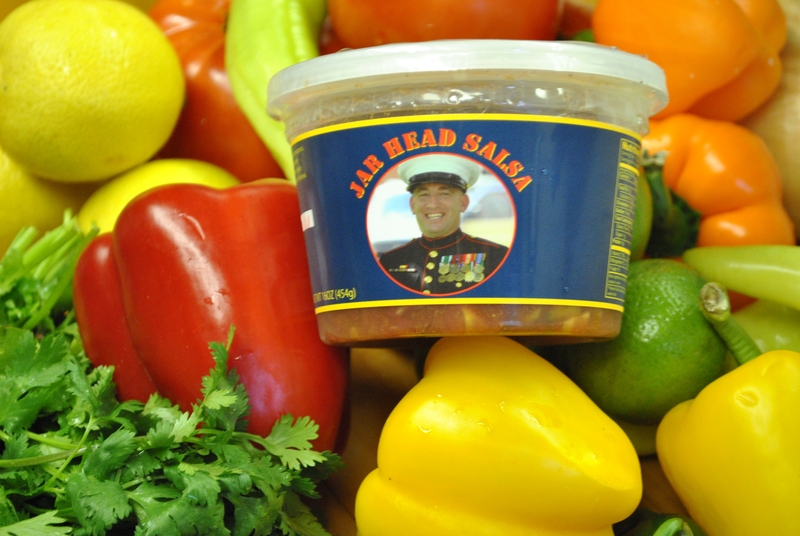 10% of proceeds from sales of Jar Head Salsa donated to the Veterans of Foreign Wars. This great Michigan made product has exploded in popularity across the state of Michigan and beyond. In 2008 Dave retired from the Marine Corp and together with his father Tom, they have expanded and now make and offer a number of additional products including fresh and jarred salsa as well as a queso dip, a bloody mary mix, and two kinds of chips both of which are gluten free and taste amazing! If you would like to find out more or have a taste for yourself, come on in to Tip’n the Mitten or check them out on facebook here. We are pleased to be able to offer this great Michigan made product and do a little to support our veterans. Tip’n the Mitten is veteran owned and operated. Never Forget those who made the ultimate sacrifice.